Here are a few things you may not have known about Stranger Things star Millie Bobby Brown! 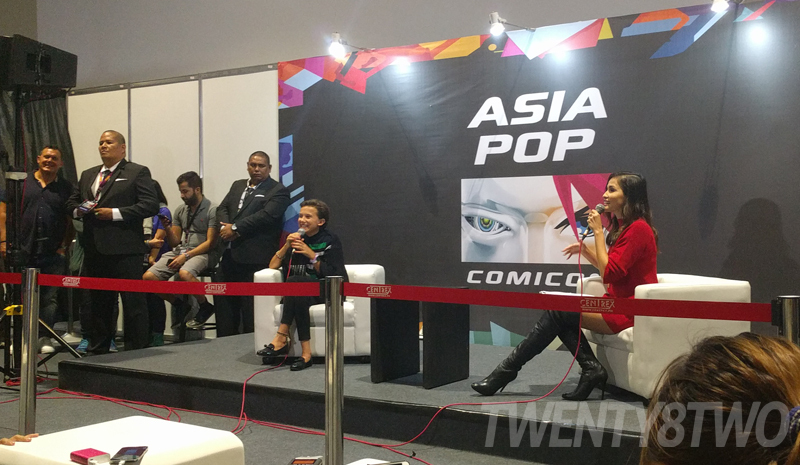 The Eggos have been consumed, and local fans of the hit web series Stranger Things got their fill of child actress Millie Bobby Brown, who was present to throw death stares during the Asia Pop Comic Convention (APCC) 2016 last week. If you’ve been living in a strange alternate dimension the past few months, Stranger Things was the breakout hit from Netflix, an eight-episode horror-slash-suspense romp through our childhoods. A clear homage to classic shows like the Wonder Years and Twilight Zone, and movies like E.T. and The Goonies, Stranger Things is about a group of boys who meet a super-powered girl straight from sci-fi fantasy while searching for their missing friend. 1. She’s actually twelve years old. Eleven was actually twelve when Stranger Things wrapped up and promotions were underway. Millie is currently being homeschooled because of her career, but her parents were adamant that she finish balance her education (and chores) with acting work. 2. She felt sorry for the character of Eleven. When asked about what drew her to her Stranger Things character, Millie mentioned that she felt sorry for Eleven when she read the script. That translated into a deep love for the character, and Millie’s desire to do Eleven justice on screen. 3. She had no reservations in getting a buzzcut. Since landing a leading role wasn’t easy for any actress at any age, Millie wanted to show the Duffer brothers how dedicated she was to Eleven and readily agreed to chopping her long locks. She even released a video of her trip to the hairdresser, and it was also reported that her mother was initially against the whole thing while her father was unable to watch her getting a haircut. 4. What she likes about her character. Millie said that Eleven is “a super badass” which is the general consensus among her fans. In the show, Eleven has a range of special abilities including telekinesis, the ability to mentally move objects. Millie also mentioned that she liked that Eleven was also very vulnerable, which combined with her badass mode, presents a duality that echoes the show’s presentation of our dimension and the Upside Down being opposite sides of the same coin. 5. Her favorite Stranger Things episode? 6. Beach or swimming pool? 7. Her thoughts on what will happen in Season 2? The media couldn’t resist asking Season 2 questions, and Millie had a ready answer for them! “She moves to LA, she finds a nice mansion!” There have been a lot of speculation about what will happen to the characters in Season 2 of course, but the showrunners are very tight-lipped about giving any kind of information, even to their stars! 8. She shares something in common with Eleven. 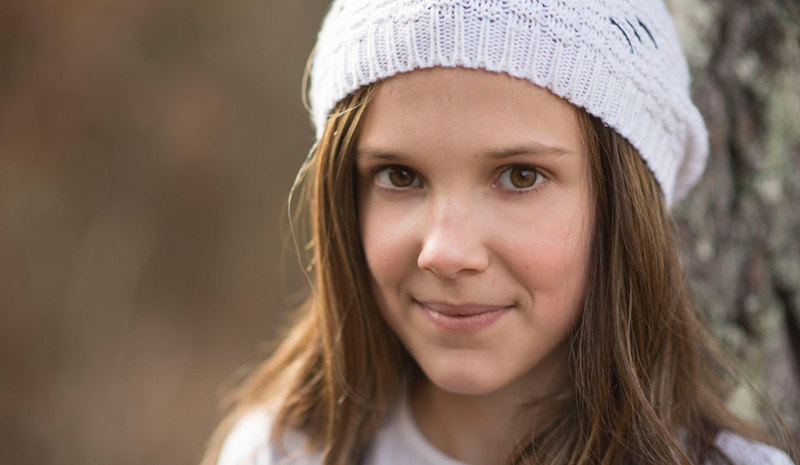 While Millie has been vocal that she and her character Eleven are polar opposites – Millie is talkative for starters – She does go on record to say that she likes how Eleven is very caring to her friends, something the child star shares with her character. 9. She’s been to many countries! Millie was actually born in Spain when her British parents were still working there. She then moved to Britain, then to Florida to start her acting career. She had roles in Grey’s Anatomy, NCIS, and Modern Family. She then moved back to Britain when she got the go ahead to audition for Stranger Things. 10. She has grown close to co-star Winona Ryder. Aside from acting, Millie is also a singer! She has expressed her interest in pursuing a singing career sometime in the future, with her dad’s consent. Their standing deal is that Millie would get a crack at singing when she turns sixteen. Time to stock up on Eggos!